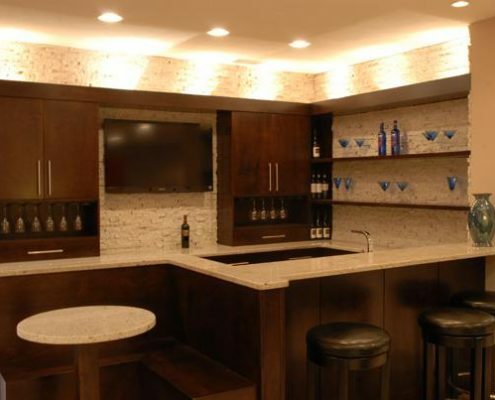 One area within my business that does not get the attention it deserves is basements. 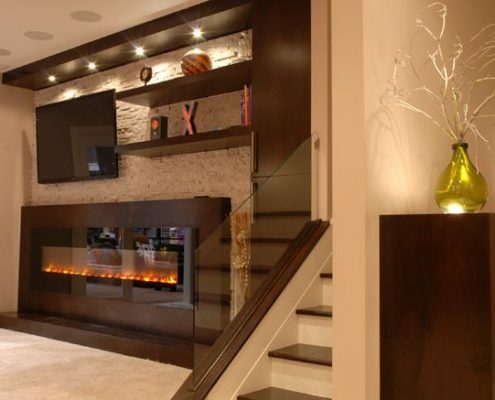 Over the years I have had the opportunity to remodel many basements. The end result was an area in which the whole family was involved in the decision-making process. 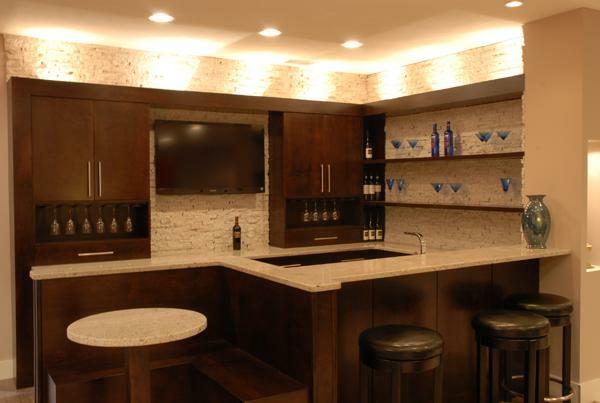 A newly remodeled basement adds so much valuable space to the home for the entire family to enjoy for many years to come. 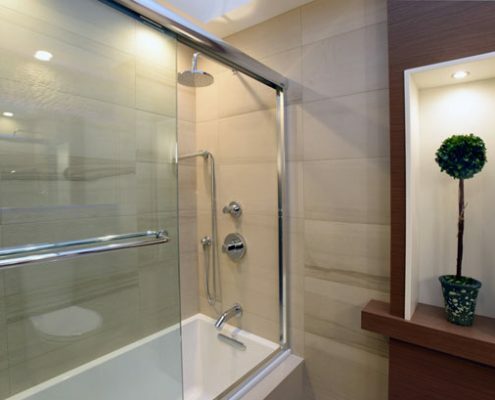 It also adds significant value to the home. 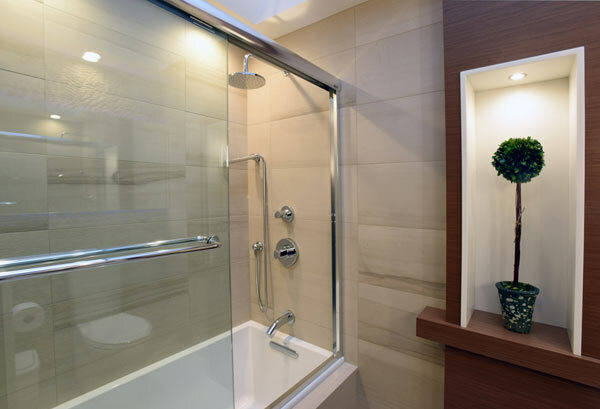 For many families it seems that the starting point to think about remodeling is when the family’s children reach the teenage years and are looking for a “place to escape”. Many parents choose to create a welcoming space that their children will want to stay home with friends instead of being somewhere else. Some of the popular area’s requested include an entertainment area, work out area, game area, storage area, laundry area, workbench area, craft area and either a bar or a combination kitchen/bar. With most, if not all of these areas included in the space, one can see that all of the family’s needs can be met within one space allowing for them to spend quality time as a family. 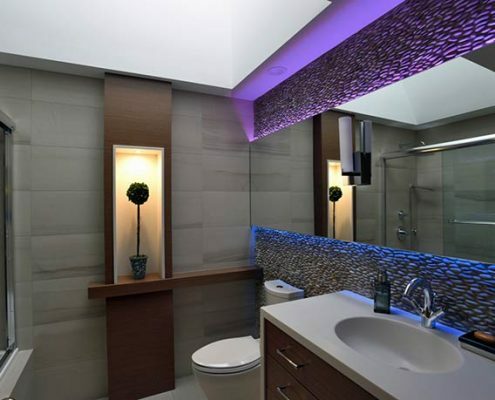 Over the past year I was approached by clients that were looking to have their bathroom remodeled. The minute I pulled into their driveway I knew that that this was going to be a project to be excited about. The clients live in the eastern suburbs and have a contemporary style home that blends in and becomes one with nature. Bringing the outdoors in was a major priority to them. Also on the top of the list was to have a “spa” like feel to the space. I was excited when they instructed me to use my creativity to obtain the goals organically. In knowing all of this I wanted to make a statement the minute one enters the room. Please notice how I used a floating piece of wood to act as counter space and then the horizontal lines draw your eye to the center in which you will find a lit niche for display purposes. With the room limited in size I wanted to visually enlarge it. 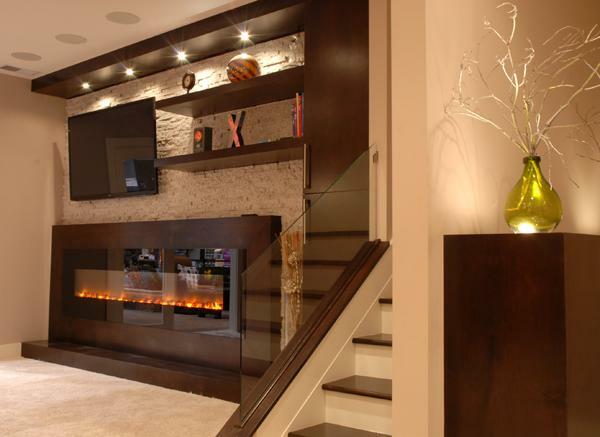 I started once again by bringing the outdoors in by having a feature wall with river stone. I then ran a horizontal piece of mirroring from wall to wall. This wall sets the tone for the entire space. When the mirror was applied I floated it out and installed LED lighting behind. There is a type of mental therapy called “Chroma therapy”. This term means therapy thru light. It has such a soothing effect on us when in its presence. Once in this room you will never want to leave. John with Fox 8 News Knock Knock – Who’s There?